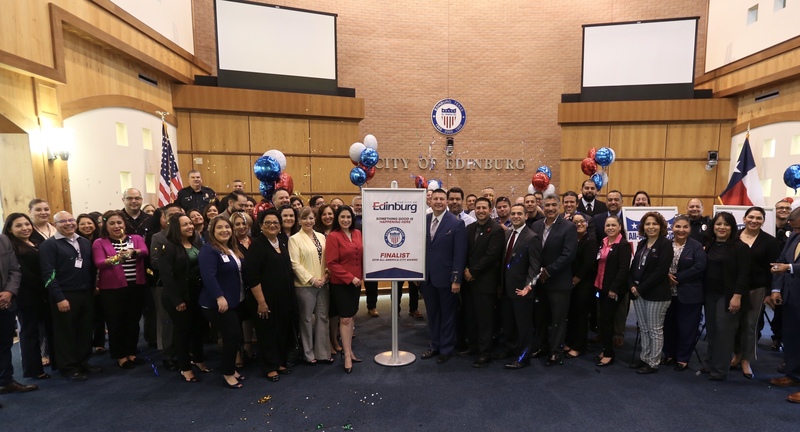 The National Civic League and the City of Edinburg is proud to announce that Edinburg has been selected as a finalist for the 2019 All-America City Award (AAC). Edinburg will compete against 19 other finalists from around the country. The National Civic League's President, Doug Linkhart explains the importance of using inclusive civic engagement: "These finalist communities are building healthy communities through collaboration with residents, businesses and other stakeholders. While many people are concerned about the ability of our nation to improve lives, these communities are showing that great things can happen at the local level." The All-America City Award competition will be held in Denver this summer. You may visit www.cityofedinburg.com or Facebook at City of Edinburg Government for more information.